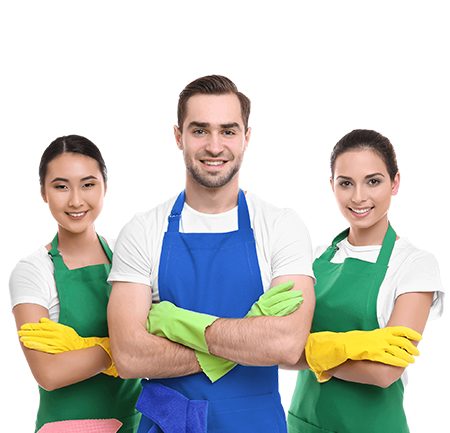 Regular janitors are unable to achieve the level of cleanliness that a workplace requires; this is where we step in and take the responsibility of office cleaning in North Sydney. We have extensive experience in serving various commercial buildings and offices and guarantee that you will be satisfied with our exceptional services. When it comes to providing an unmatchable service, Tricity Cleaning are the experts to rely on. We believe that the office environment affects the health and performance of the employees of a business. Thus we take a positive approach in increasing their productivity and reducing their medical bills. Besides offering healthy surroundings to your employees and promoting their welfare, our services can help in creating a space that leaves a positive impression of your business on your regular visitors and clients. Our professional and highly trained cleaners are well-equipped with safe cleaning products and avoid the use any harsh chemicals. We also have state of the art equipment to assist us in performing cleaning services. Cleaning is a crucial task and only the skilled and experienced cleaners will be able to carry out this task efficiently. They have the required knowledge to get the workplace cleaned and sanitized for a professional outlook. Our office cleaning experts in Sydney ensure that a hygienic and clean environment is provided for the well-being of your employees. Our experienced cleaners can offer same day services where possible and can meet customer expectations. Our highly trained, friendly and experienced office cleaners will ensure that all work is completed in time and according to your instructions. We carry out all cleaning services according to your schedule and cause minimum disruption to your office operations. After a single visit, you will observe the difference our cleaners will have made to your office premises. We can also dispose-off any unwanted items from your commercial building, and ensure leaving it clean and tidy. If a previous cleaning contractor has left the work in the middle, do not worry because we have got you covered. We have a wide range of cleaning services to match any requirements. Our extensive industry experience makes us one of the best cleaning companies in the city and sets us apart from our competitors. We use only premium quality cleaning products that are not harmful and can effectively clean the area. Once you hire us, you will always come back for our unmatched service quality. If you are not sure about which office cleaning company to hire, Tricity Cleaning is the right choice. Whether it is a small office or complete office block, we have a team of professional cleaners that make lives easier and promote the growth of your business. For booking a service, please feel free to call us today, at TEL: 1300 886162. Office cleaning and commercial cleaning specialists.